Are you hungry? Then maybe you should not read this post. 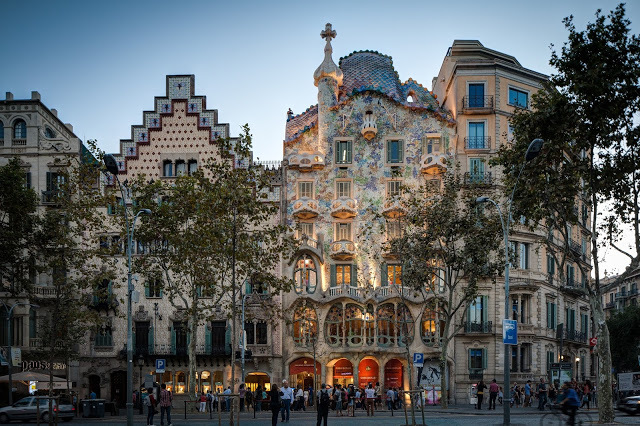 Actually, read it and take the opportunity to go to Barcelona with our hotel offers, to make a dip into the gastronomic specialities of the best restaurants and tapas bars of the city! Their name comes from the habit to plug the glasses with saucers containing appetizers. 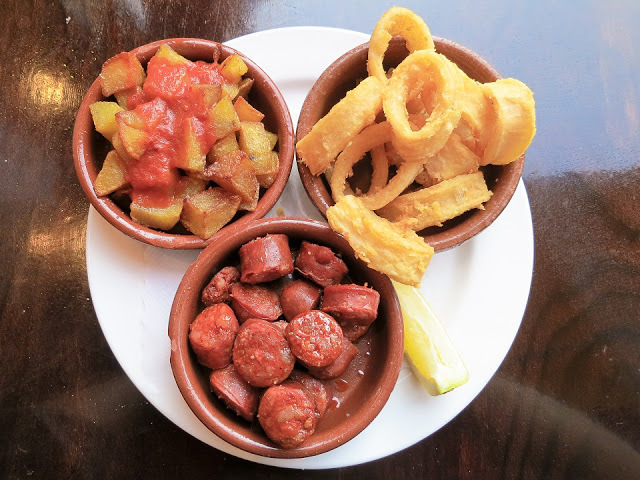 Hailing from Andalusia, traditionally the tapas used to accompany the drinks, but they have become over time real specialities of vegetables, meat and fish. 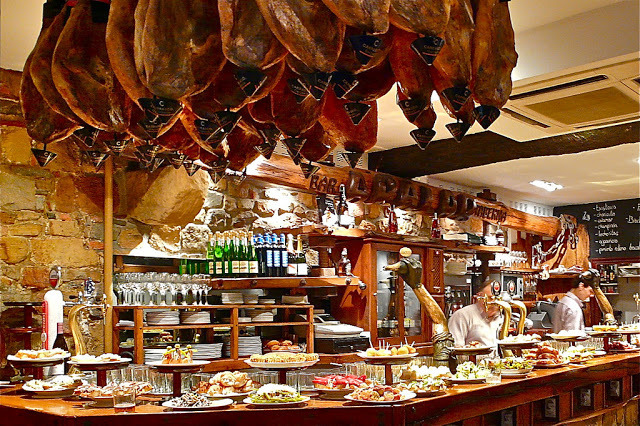 The tapas in Barcelona are not just a snack, they are an institution. Eating them with friends while drinking a good beer, local wine or sangria is time for informal socialising. They say that throwing the dirty towels on the floor means that you enjoyed the food. How to recognize a tapas bar? That’s easy: by the crowd of people chatting and eating in the street around the bar’s area, and by the quite unique interior. Don’t be afraid of the appearance of some bars, you can’t judge the book by its cover! There are many tapas bars and restaurants in Barcelona. Here we can only show you some of them. 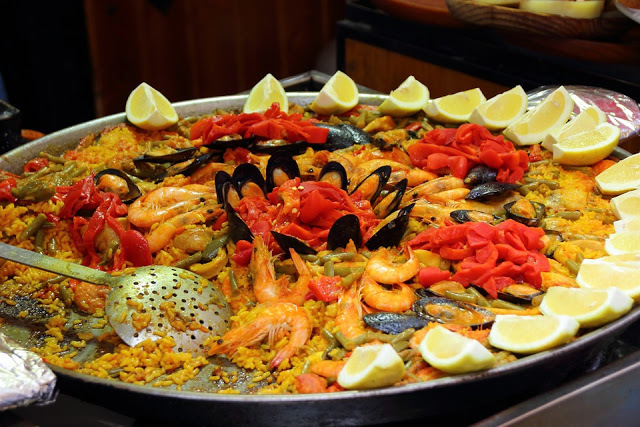 When you get to the most popular districts of the city you will be spoiled for choice: you can enjoy the aperitif with drinks and tapas, or stop for dinner with paella, seafood and other specialities. There are tapas bars where you get free tapas by ordering a drink. Usually the value for money is great. 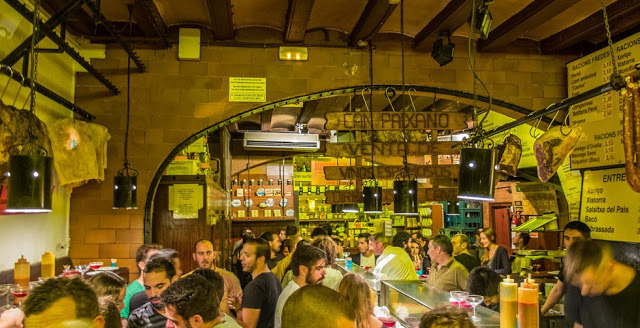 In the Gràcia area you can find Gata Mala, a small and very crowded bar. It is worth it, but if you want to linger there you better make a reservation. In the lively district of Barceloneta we suggest Cal Chusco (it is not very tourist: it offers good food at reasonable prices), or El Moll de Rebaix. If you are looking for a tapas bar mostly attended by locals, the latter is the place for you. In Sants area you can try El Capritxo, famous for fried fish, and Casa Mayo, a small Galician place with great food. At Bar Mingus (in the Gothic Quarter) meatballs and Russian salad are a real delight to the palate. Definitely you have to try some traditional, historical and chaotic place as a tapas bar should be. Often they offer excellent fixed price lunch menu. The quality of the tapas and the food will not disappoint you. – Jai-ca, Cova Fumada (here the famous meat and potatoes bombas are killer!) and Can Paixano (called la Champagneria, very folkloristic!) in Barceloneta. – La Masia (Raval district); El Xampanyet and Bornmuth (Born area). The latter is known for its excellent vermouth to be drunk with the tapas. – Quimet i Quimet (between Montjuic and the Raval), well-known local, is very small and you have to stand up. – Casa Alfonso, in the Eixample district. Here you will find not only the best tapas, but also the most delicious meat and fish specialities, both Catalan and not. Prices are generally reasonable. Remember to book in advance. – Nass, in Barceloneta, proposes a great lunch menu at a fixed price. You should try it. 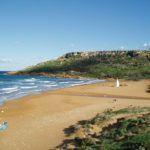 – Xiringuito Escribà, facing the sea, offers a fantastic paella. Bodega Joan is also famous for its paella (in Eixample). – La Paradeta is a chain of 6 restaurants around the city. – Can Culleretes, founded in 1786, is the oldest restaurant in Barcelona. Despite this, its prices are affordable. – Cal Pep, in the Born district, is a popular restaurant, but it is quite expensive. 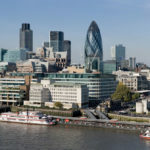 Can you afford to pay more? 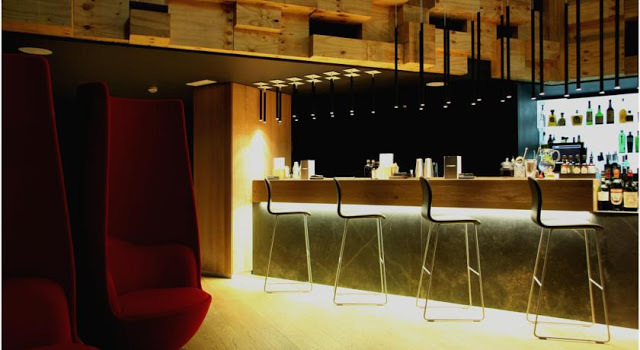 Some renowned chefs have created “designer tapas bar”. Be careful to the prices, of course! Among these the esteemed chef of the famous Sauch restaurant proposes drinks and snacks at the Gastrobar, Boutique Bars and Terraza Chill-out (all inside the Hotel Ohla). You can find famous chefs also at the Tickets bar, Bodega 1900, Moments and, with more accessible prices, at Bambarol. In the tapas bar you surely will find vegetarian and vegan tapas, but there are in Barcelona excellent restaurants careful about specific needs at reasonable prices. Zaatar is a well-known vegetarian restaurant. Gopal and Cat Bar are vegan locals. The Biocenter restaurant offers a variety of integral and organic food, while Granja Viader has gluten-free products. Buenas Migas (it is a chain) is great for those who are looking for gluten-free and lactose-free snacks. The Veg World restaurant proposes vegan and gluten-free traditional Indian food. 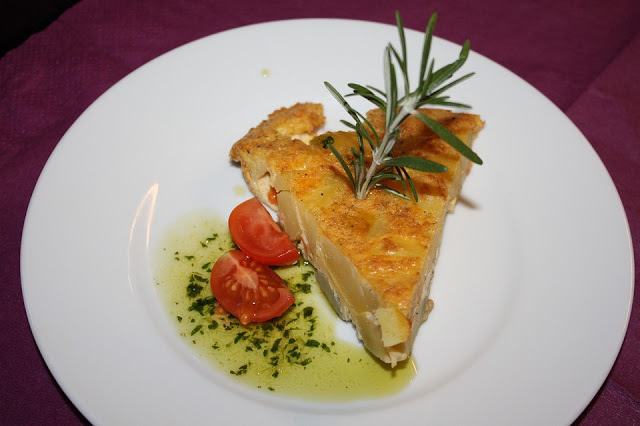 Do you want to discover the world of tapas? Are you vegan or vegetarian? Are you allergic to gluten or lactose intolerant? Here you will find a detailed guide suitable for all tastes (and budgets)! And now …You just have to leave for Barcellona!